This summer I made the decision that I wanted to make my own healthy ice pops and frozen non-dairy dessert bars. To do this, it meant that I needed to purchase some molds. Although the time frame in which I was looking to do this was late summer, after picking a variety of berries, I still felt I would be able to find what I was looking for locally, and hopefully on sale. Unfortunately, what I thought would be an easy find turned out that the opposite was true. As I scanned the housewares and summer season aisles of our local stores, there were none to be found. As I gave up the search for purchasing locally, I decided to scan what might be available online. I must have had a 70’s mindset of price, because what I found for pricing was a bit more than I was willing to spend. 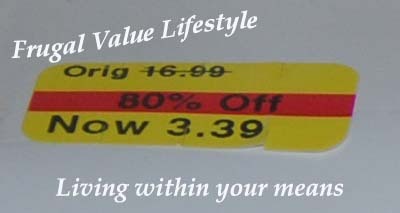 When I shop, I first look for quality followed by a price-point value system. I inspect the product to determine if it will work for what I plan to use it for. I rarely ever impulse buy (I will either walk around a store for a bit or wait a day if shopping on line to really evaluate whether it is a need vs. want item). And with the evaluation, I determine if the price will benefit the intended purpose of my purchase. A few weeks passed when my husband and I went out to shop for a needed sneaker replacement. While he browsed the shoe department, I decided to browse the housewares clearance area. As I turned the corner I was delighted to see exactly what I was looking for. Yet, I was braced for that “clearance price” that is usually 20-30% off (normal sales pricing which never grabs my attention and in this particular store their regular pricing is usually overpriced by the same). I was delighted to find that the exact freezer pop molds I was looking for was marked down 80% and with a $10 birthday coupon combined with a 30% off coupon, I scored what I was looking for at a phenominal price. Of course the accountant in me was tallying up my prized find, fumbling with them in my arms as I carried them over to my husband with the biggest grin saying “Look!! I found exactly what I was looking for! !” His response was, “Do you really need four sets?” His excitement was not quite the same as mine, but I will contribute that towards his earnestly trying to find a pair of sneakers that not only fit but had good arch and ankle support, while staying within our budget for sneakers. Of course I rattled off the reduced price from the overpriced SRP of $16.99 that was marked down to $3.39, reminding him that I had a $10 coupon and my 30% off coupon (which of course could have been used for his sneakers) I would spend less than $10, still $7 less than the original price for one set. If I did not use the $10 coupon, I would have still been able to get the four sets for $15.10, still less than the SRP of one set. Knowing my rationale, length of time in searching and frugal spirit, he supported my smile as I put them in the cart. Of course, they had two more sets on the shelves. I was definitely tempted to go back and pick them up, but I knew that it would be stretching the “need vs. want” category. 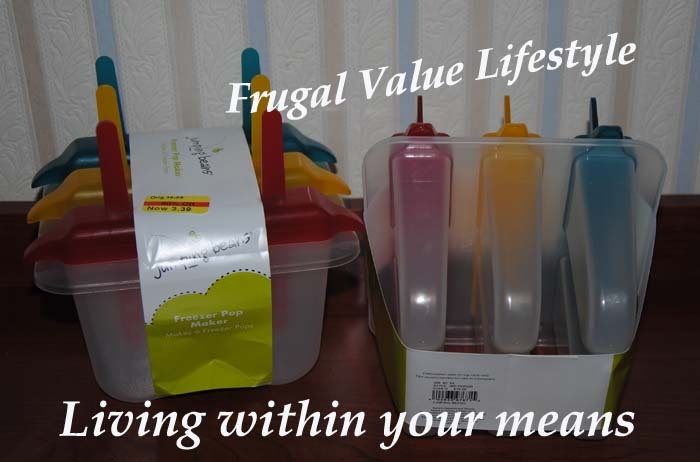 In all, I obtained 4 sets of 6 frozen dessert pop molds for a final cost of $ 8.07. To make my own, individual frozen desserts, I scored a great find!! Purchased 4 sets at $3.39 each, with a $10 coupon and 30% discount resulting in $8.07 for four sets!! Even if I did not have a $10 coupon the final cost for the set of four would have been $15.10 which was still less than the original SRP.